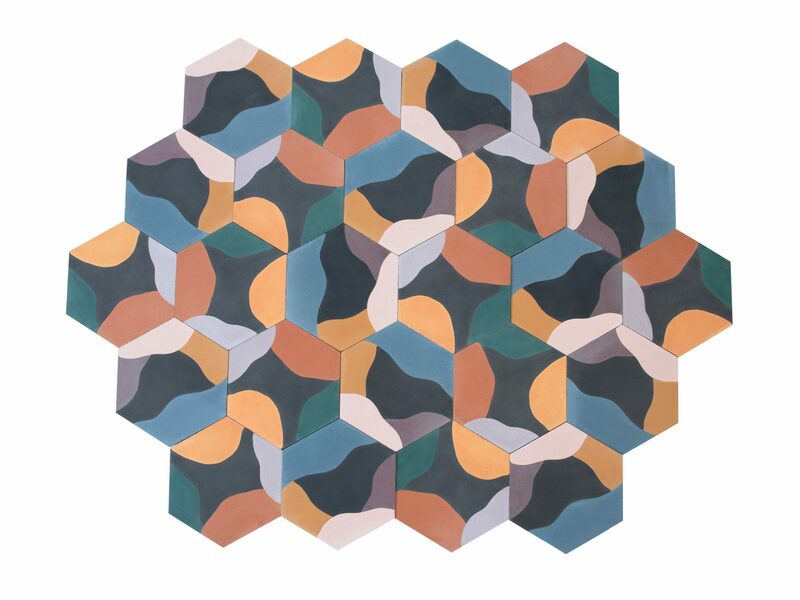 The new line of cement tiles by Avery Thatcher are bold, colorful, and entirely fuss-free. One might imagine an ideal salad to be colorful, fresh, and elegant in its simplicity. 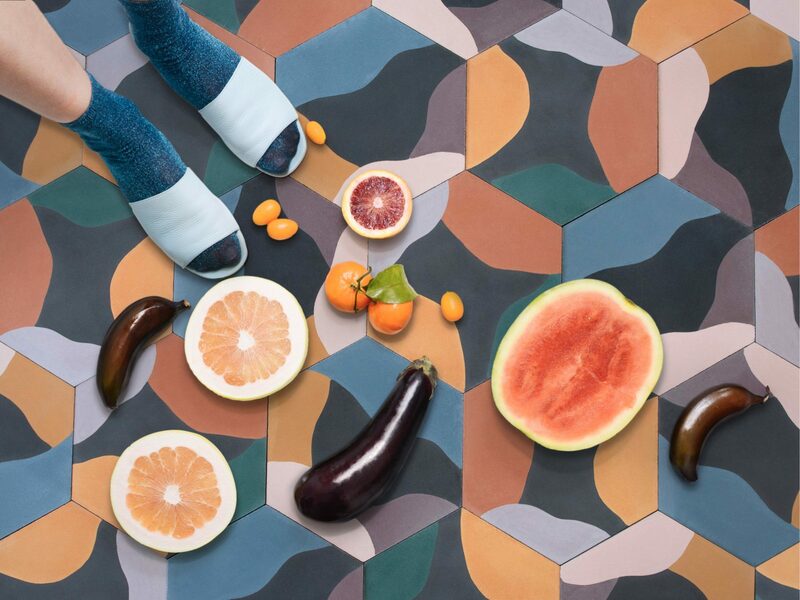 The same could be said of Avery Thatcher’s first line of handmade cement tiles, aptly dubbed Fruit Salad. After making its debut in May during New York Design Week, the series immediately sold out—but is now, thankfully, back in stock. 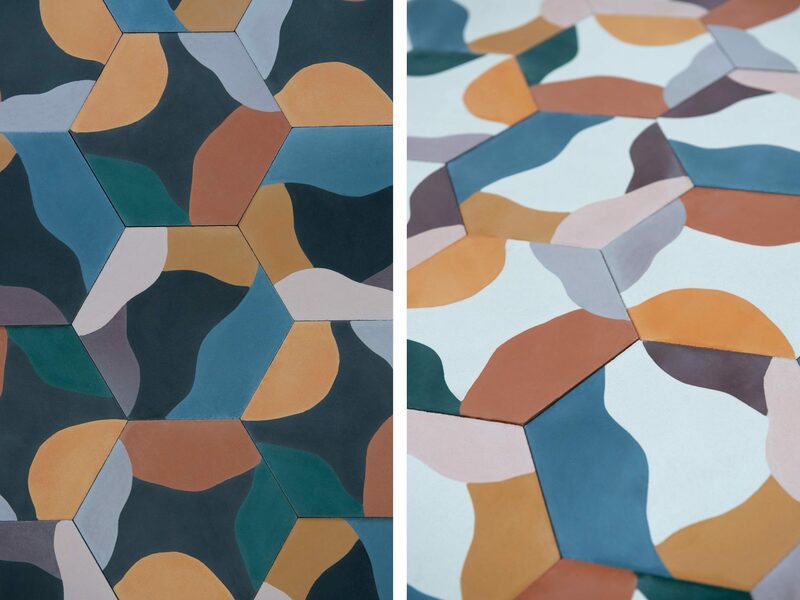 With playful muted hues and an asymmetrical motif, Thatcher’s tiles are very much in line with the aesthetic of the wallpaper she designs for her Portland, Oregon–based company, Juju Papers. 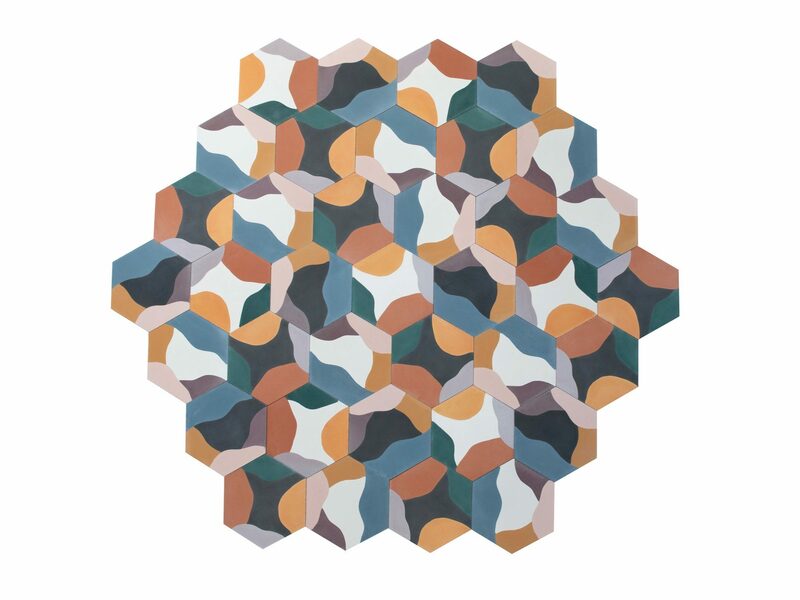 Suitable for use indoors or out (and on the floor or the wall), each thick, eight-inch hexagonal piece is individually handmade in Mexico using a fire-less process that gives it a muted, matte finish. Fruit Salad is made up of just two customizable colorways—with a black or a white center—but can be arranged into infinitely singular patterns. 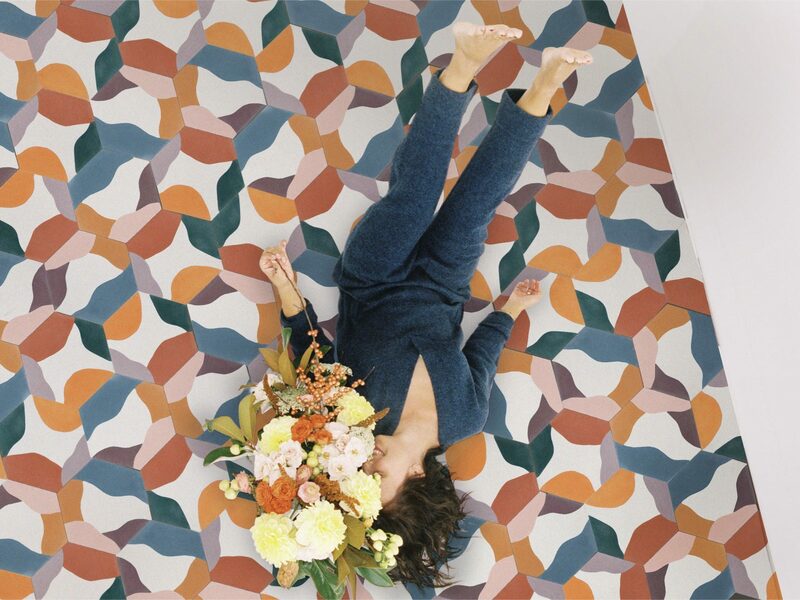 Most remarkable of all is the simplicity of the design itself: The mosaic arrangement pictured above was created by randomly rotating and mixing together two patterns, creating a rich kaleidoscope of color that is entirely fuss-free.